Welcome to Shionoe Museum of Art! 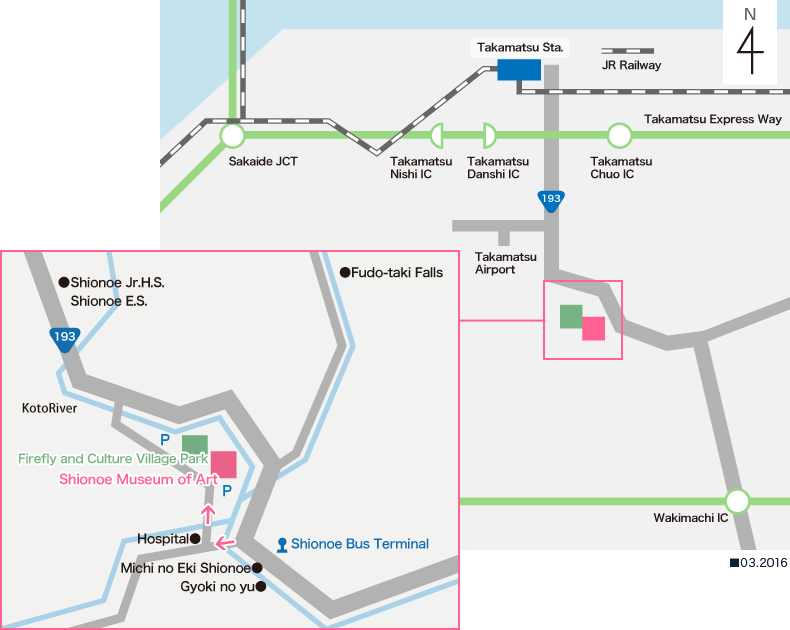 In 1994 the Shionoe Museum of Art opened in Shionoe Hot Spring Village in Kagawa prefecture, bordering Tokushima. There are both permanent and special exhibition spaces where you can enjoy the artists' works. We also hold concerts, workshops, and ceramics course, which are open to everyone. The Museum sits in a sports and culture park, where you can enjoy beautiful cherry blossoms and fire flies - the ideal place to relax. Copyright©SHIONOE MUSEUM OF ART.All rights reserved.